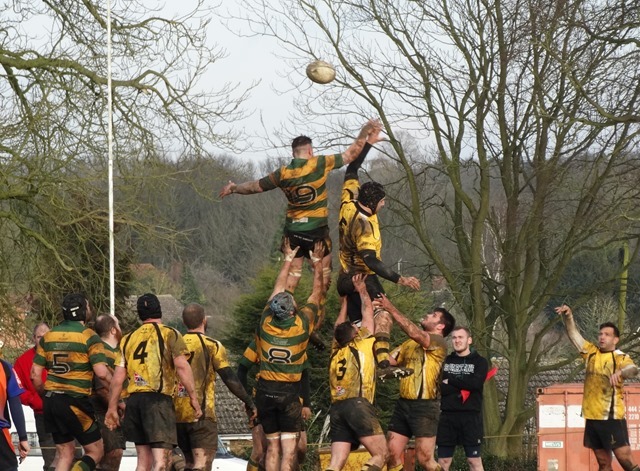 The new Eastern Counties League structure – Did it work? Back in September the revamped Eastern Counties leagues kicked off with 90 teams in nine leagues. There were concerns about mismatches and and travelling distances for some clubs, but now that the first season of the new format has been completed what is the verdict? Let’s start with Eastern Counties One which was little affected by the changes and where Southwold were crowned champions, but they were denied an unbeaten league season with a loss at Newmarket on Saturday. I am pretty sure that next season will be the first time Southwold have competed in the London leagues and I know that teams that haven’t been there before will receive a warm welcome in their sympathetically designed clubhouse on the Common and with a pint of Adnams fresh from the brewery down the road. Second placed Ely are in the play offs and will travel to Epping Upper Clapton for what will be a tough game. Eastern Counties Two was split three ways with Colchester II winners of the South league and Harwich & Dovercourt in second place inflicting their only defeat There was some unhappiness at Colchester II being placed at that level but it was the highest league that they were allowed into. Nevertheless, it is disappointing that so many teams called off their games against them but with so many one-sided games you could see why they shied away, usually quoting player safety as a reason. The North league was less one-sided with Diss II winning three points ahead of Broadland-Gt Yarmouth while in the West league Cantabs II had a very strong end of season run pipping Bury St Edmunds III to the title. Promotion, however, is not guaranteed for any of these sides. Swaffham, having struggled all season in Eastern Counties One, will be relegated while Thurston, who finished one place higher will play Cantabs II in a play off game, with the winner playing in EC1 next season along with the winner of the other play-off game between Colchester II and Diss II. In Eastern Counties Three the North Division saw both Beccles II and Wymondham II finish on level points, with Beccles having a points difference just 2 better than Wymondham’s. However, both teams will be promoted. In the South Division Colchester III and Sudbury II will move up and in the West Division it’s Ely Development and Cantabs III that will be promoted. In Eastern Counties Four Swaffham II, in contrast to their first team, had a good season to win the North league, and will be promoted along with Thetford II, while in the South league Colchester IV were comfortable winners with Essex University in the runners-up spot. I suppose it’s not surprising that there were more call-offs lower down the structure and that it was the bottom two or three sides in each league that accounted for the lion’s share of games cancelled. But we won’t really be able to measure the success of the new leagues until we can compare the call off number with those of last season. If the data is available then I will publish it on my blog. I know the Competitions committee will be reviewing fixtures and results and that meetings with clubs are planned which may mean some minor changes. As I have said all season it will take a year or two for the leagues to sort themselves out and I would hope that next season will see more games completed. As ever, comments below or on Facebook or Twitter are always welcome.